Did you know that not all halo rings are created equally? There are different levels and designs of halo rings, with some styles more exclusive than others. 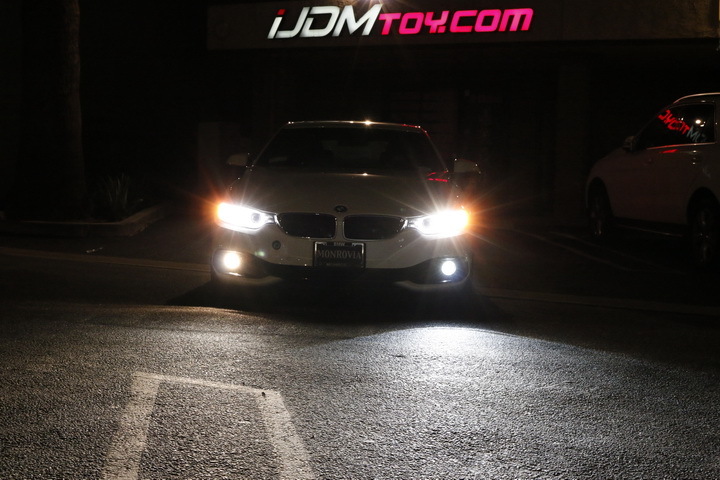 This particular set is called the DTM LED Angel Eyes and are known for their distinctive flat-bottomed horseshoe shape. 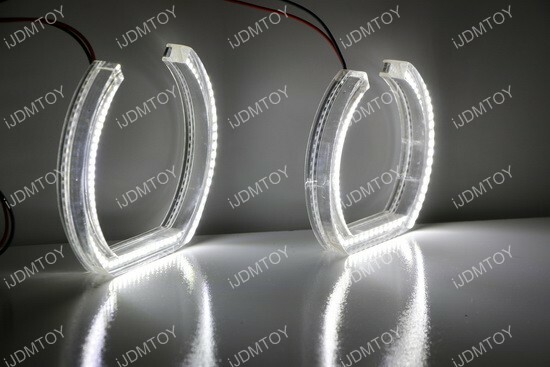 These U-shaped LED halo rings have an acrylic cover that allows the rings to emit a soft outer glow and is regarded as a higher end installation. The acrylic cover gives the halo ring a 3D effect to give it an more overall distinguished and premium look. This style of halo rings can be seen on the newest models, making this modification a great choice for BMW owners who have slightly older Bimmers. 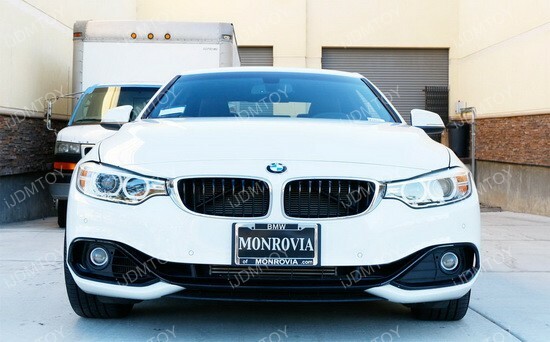 This new addition will spice up the look and allows owners to keep their BMW and add a nice flair to the headlights. These 50W H15 LED Bulbs for the new 2014 BMW 2-Series halogen headlight trim on high beam for daytime running lights are a great addition for a new vehicle. 2-Series are not entirely common the streets just yet, so it’s not often that you would see a 2-Series right next to you at the intersection. So what’s even more uncommon than seeing a 2-Series? Seeing a 2-Series with brand new CREE H15 LED bulbs.